Many students at the College of William and Mary have started off this spring semester with more than just their usual worries. 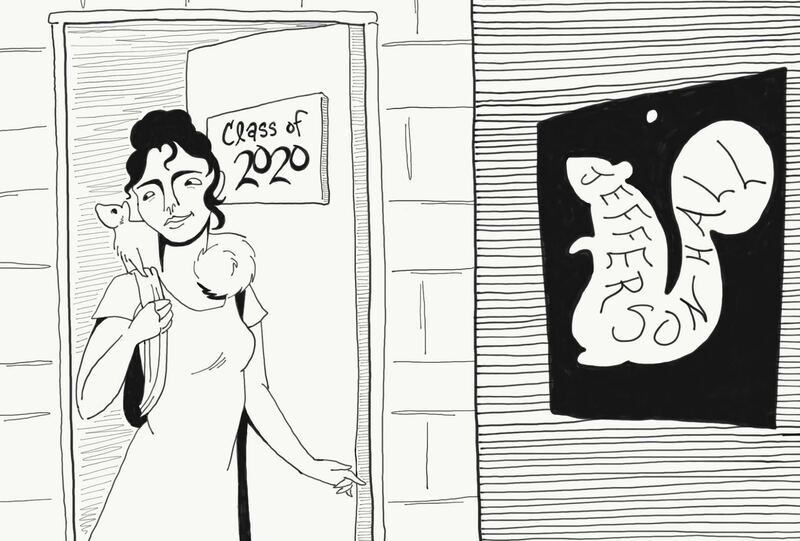 This year, we also have looming residence hall selections to worry about for the fall. These decisions have recently been made much more difficult with changes to upperclassman residence halls as we know them. In case you have somehow managed to not have heard about this yet, for the 2019-20 school year, Lemon Hall will become a freshman dorm, and Jefferson Hall will be designated to upperclassmen. On top of that, One Tribe Place will be closed for renovations, rumored to be due to mold and other air-quality issues. You may think that I am writing here today to tell you how angry I am about these changes. In fact, I am writing to you about quite the opposite. I couldn’t care less, and I think the general upperclassman population at this school should try to care a little less as well. Let’s start from the very beginning. It was a cloudy day, approximately three weeks ago, when my future roommate received an email from Residence Life informing her that One Tribe Place will be closed for business next year. Although this information gave her quite a fright, I was particularly unbothered by the fate of our beloved “Ho House.” Don’t get me wrong, the concerns I have heard floating around campus are completely valid: hall-style bathrooms aren’t ideal, and the possibility of living in Jefferson along with the ghosts of squirrels past is a valid concern. Students have also voiced more serious frustrations concerning the timing of the One Tribe Place announcement, as it was made too late for students to make other off-campus accommodations. Another big topic of conversation has revolved around the “rite of passage” that comes with living in “nicer” dorms as an upperclassman. While I enjoy living in the cushy, suite-style dorm that I do now, I see flaws in that argument. My first semester freshman year was all-around pretty rough for me, and it was made exponentially worse by the awful living conditions I had to endure in my freshman dorm. It seems like it is just an accepted fact of life on this campus that freshman living options are supposed to be crummy, and you just have to live with it and “do your time.” I disagree with that mindset, and I think that giving freshmen more comfortable and accommodating dorms will do wonders to ease their transition into living away from home and navigating a completely new environment. However, I know not all of us had the pleasure of spending our freshman year in the mold-ridden, ant-infested, constantly damp state that is Yates Hall. Luckily, I did, and it takes a lot to phase me nowadays. For one thing, once you learn to coexist with your hall’s resident shower cockroach, sharing a hall-style bathroom turns into an easy feat. Last year, I bounced from illness to illness, later discovered to be caused by an abundance of black mold in Yates’ air conditioning system. This taught me pretty early on how difficult it is to be a successful student at the College when you’re constantly sick. Smaller rooms in older buildings like Jefferson Hall are fine with me, as long as I can breathe, and I’m sure most 2018-19 Yates residents would agree with me. I do feel as if my past has prepared me for the worst possible scenarios regarding my living situation next year, and as a result, the recent changes are not as daunting to me as they clearly are for others. All in all, I think that when us upperclassmen are discussing our discontent with the residence hall debacle for next year, we should remind ourselves of our freshman year living experiences, and know that it always could be worse. And yes, you may end up in Jefferson next year, but some freshman will have a better first year experience because of it, and I think that is something we should all appreciate.